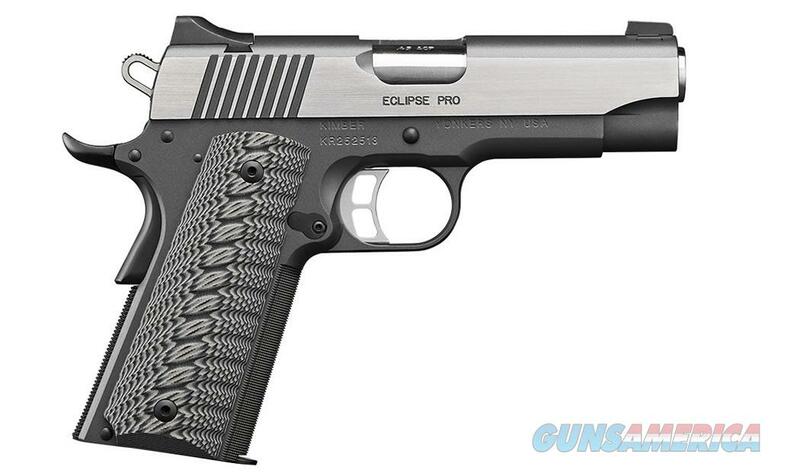 Kimber Eclipse II Pistol -Elegance. Hard to define but easy to recognize, elegance is a true measure of quality. Kimber Eclipse pistols have a brush polished finish over a stainless steel slide and frame, both accented with black small parts. More importantly, they perform as good as they look—and that is a bold statement. The true beauty of Eclipse pistols is in their performance. Match grade barrels and triggers ensure the level of accuracy that made Kimber the world’s most popular 1911. Performance has never looked so good. Kimber Eclipse pistols have a striking brush-polished finish and special Custom Shop features, including 30 lines-per-inch front strap checkering and a Premium Aluminum Trigger.